Baseball is timeless in its ability to unify players, fans, and communities. Stepping onto the field transforms ballplayers into comrades, united by the desire to win. In the same way, fans leave their day-to-day concerns at the admissions gate, finding commonality with others in the stands. Baseball stirs nostalgia. It offers participants—on and off the field—a feeling of home, of being a part of something greater. Baseball is springtime, peanuts and Cracker Jack, and good times. As America’s national pastime, baseball transforms people through opportunity and reminds them of the American Dream, of what it is to be an American. Colorado’s baseball history is long and multifaceted, with beginnings in the 1860s, well before the construction of Denver’s Coors Field in 1995. Men from varied social and economic backgrounds, skill levels, and industries made up Colorado’s earliest organized teams. 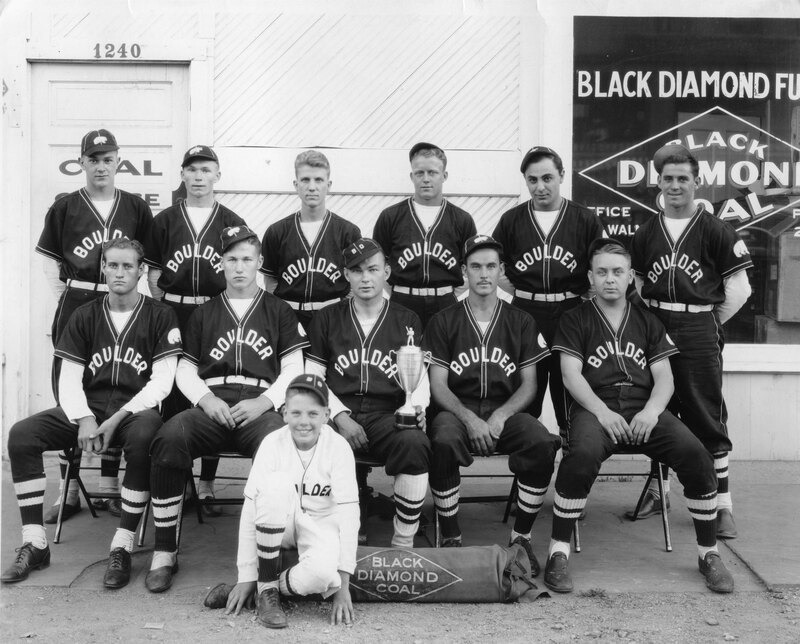 Many of these amateur and semi-professional teams were sponsored by Colorado businesses and individuals. These lesser-known teams offer great insight into the development of the game in the state and the impact of baseball on the state’s economy, communities, and the people who call this place home. In Colorado, baseball came by way of the gold rush. The game was already popular in the East, and fortune seekers brought it west. A level field, a bat, a ball, and something to mark the bases were all that was needed to play the game in the 1860s. 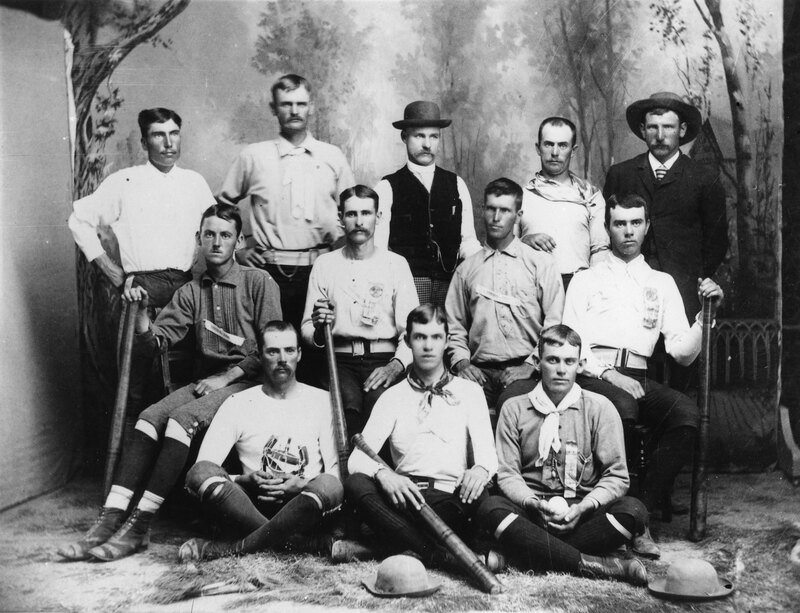 In March 1862, the Rocky Mountain News called for the formation of a “Base Ball Club”; twenty-eight men responded, and organized Base Ball (originally spelled as two words) in Colorado took root. 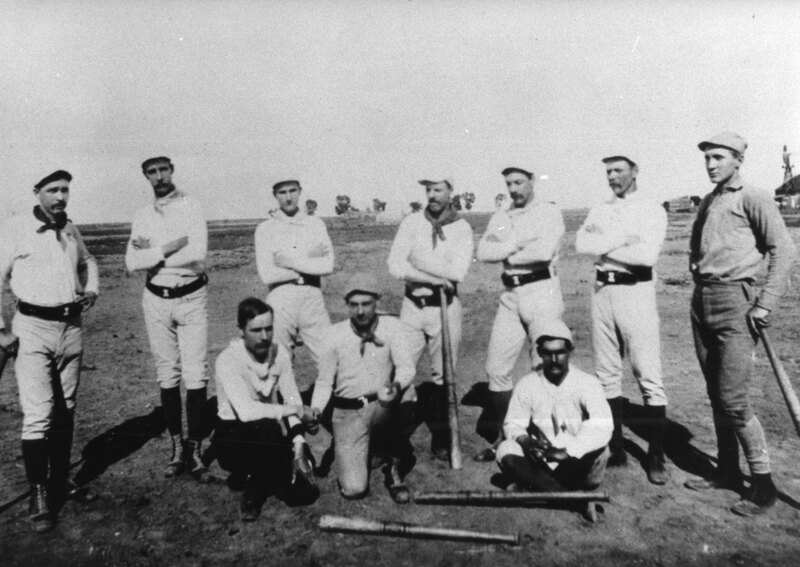 The following month brought Colorado’s first recorded baseball game—on April 26, 1862. In the 1860s, standard rules applied, with teams made up of players representing a town, a neighborhood, a business, or even a family. Teams could be amateur (with all unpaid players) or semi-professional (with some players paid). Commonly, semi-professional players earned their pay by collecting funds from game attendees—pitchers and catchers took home the largest share. As a second source of income, semi-pro players held regular jobs off the field. During the Civil War, baseball served as a popular pastime for troops. The love of the game remained for soldiers after the war and helped fuel the development of professional teams. 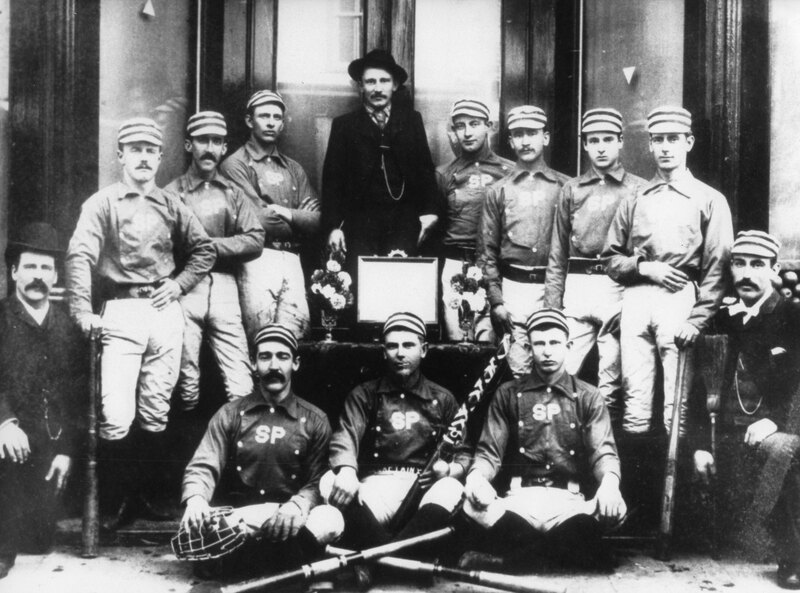 The first all-pro team, the Cincinnati Red Stockings, was organized in 1869. The team had ten players with a payroll of $9,300. The formation of the National Association of Professional Base Ball Players followed in 1871. Organized in response to some teams paying players, the organization governed professional baseball teams, or teams paying all of the players on their roster. 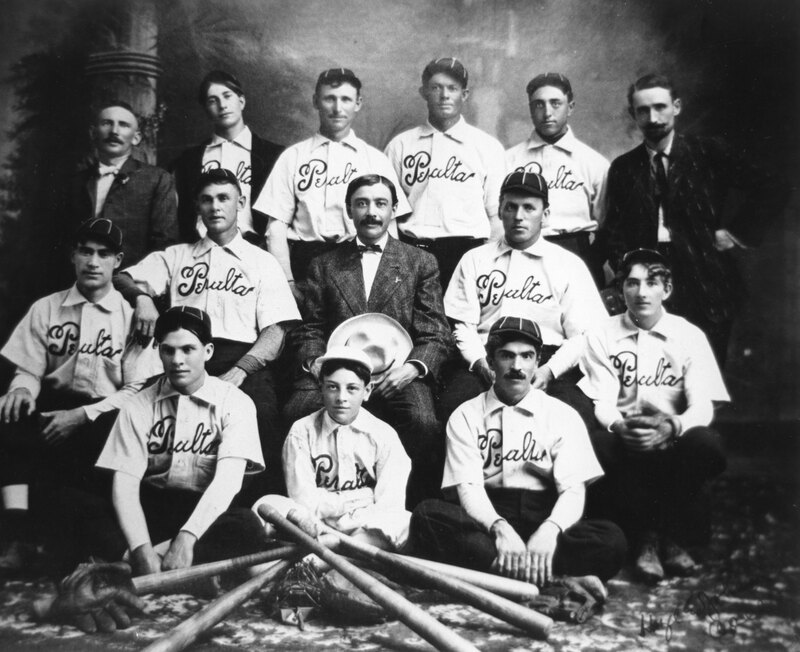 Fueling the post–Civil War popularity of the game in Colorado were teams like the Young Bachelors Baseball Club, organized in 1866 and later known as the Colorado Baseball Club. This Denver team was one of many in the Colorado Territory. 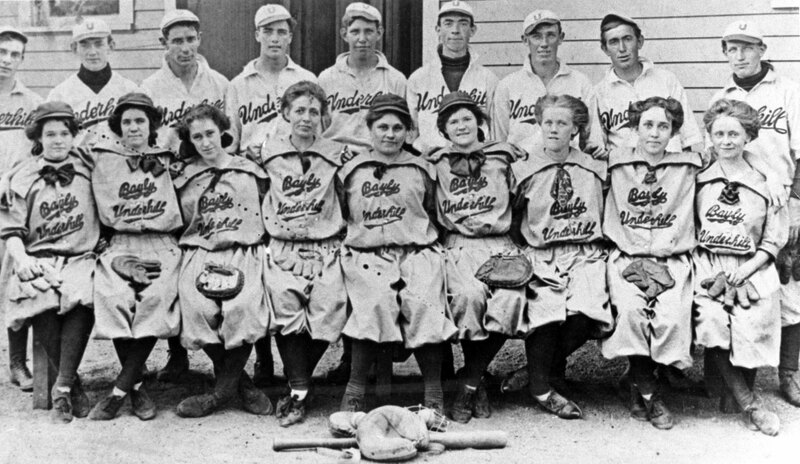 From small towns to farming communities and mining camps, the game of baseball captivated young and old, men and women, working class and wealthy alike. Fans supported their teams with enthusiasm and pride, feeling a sense of ownership for each win, and loss. The arrival of the transcontinental railroad in Denver in 1870, and other lines that followed, brought a significant growth in population and trade in the Colorado Territory. In Denver alone, trade increased by 40 percent between 1871 and 1872. By 1873, Denver’s population reached nearly 16,000—up from fewer than 5,000 just three years earlier. For baseball, this meant more teams displaying the pride of developing towns, communities, organizations, and businesses. Some teams took the name of their hometown: Denver, Leadville, Central City, Longmont, Silverton, Trinidad, Cripple Creek. Others were named for a business that sponsored them: the Denver Tramway Team, Denver Sanden Electric, Loveland Sugar Company, the Denver & Rio Grande Railroad. Other, creative names included the Old Homestead, Rough and Ready, the Excelsiors, the Calamities, and the Independents. Next came the formation of the National Baseball League in 1876, along with the standardization of rules, new equipment—including the 1883 patent of the baseball as we know it today—and the improvement of fields (and players). Colorado got its first semi-pro team in the Denver Brown Stockings and in 1882 the first permanent baseball stadium (capable of seating 1,000 fans) in Colorado Springs. In 1885 the new Colorado State League listed teams in Colorado Springs, Leadville, Pueblo, and Denver. It was also in 1885 that Denver’s first baseball stadium was built, at Thirty-Second and Larimer Streets (not far from today’s Coors Field). Known as the Denver Base Ball Park, it hosted a record crowd on August 16, 1885, when between 3,500 and 4,000 of Denver’s 54,000 residents filled the stands. 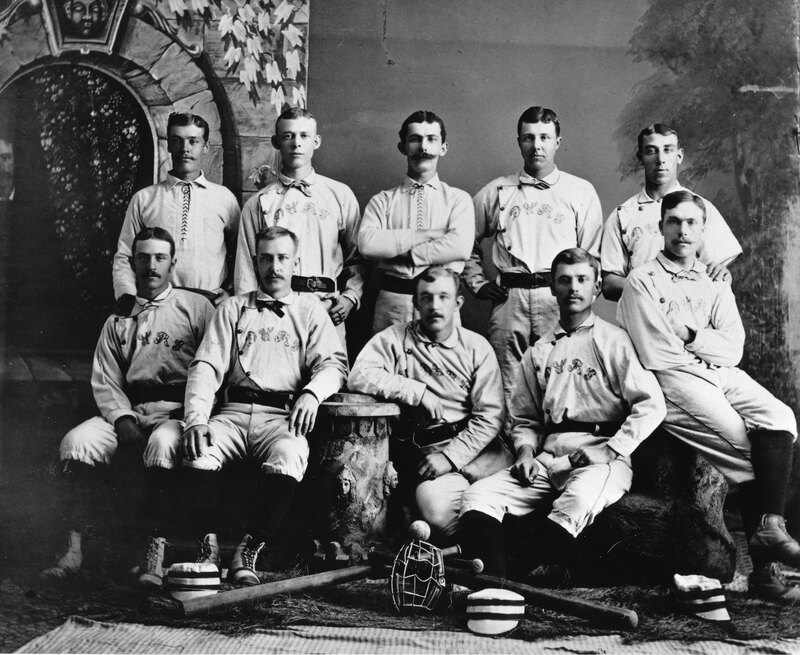 A year later, Denver organized its first professional baseball team, the Denvers, who entered the Western League of Baseball and won the 1886 championship. From that time forward, Denver was the center of professional baseball in Colorado. By the late 1880s, amateur, semi-professional, and professional teams played all across Colorado. Among the town teams with paid rosters were Denver, Pueblo, Leadville, and Colorado Springs. Families, individuals, and a variety of businesses sponsored amateur and semi-pro teams. The teams sported their sponsors’ names on their uniforms in exchange for those uniforms, their equipment, and their pay. By 1910, about 200 baseball teams were playing in Denver alone. The number rose and fell through the years, impacted by the historical forces of World War I, the Great Depression, the Second World War, and the arrival of major league ball in 1993. Regardless, one can’t help but be impressed by the number of Colorado teams from the 1860s on. Not only did the teams offer people an enjoyable pastime, but, for many, the game was (and still is) an opportunity to earn extra income. The teams promoted communities, businesses, and services, in turn stimulating local economies. Baseball was—and remains—a unifier, bringing together people who otherwise may never have even met. Because history often celebrates the professional teams and players, the amateur and semi-professional teams have largely remained hidden. And they still do. Did you know that Colorado is home to the Rocky Mountain Baseball League? Formerly known as the Colorado Semi-Pro Baseball League, the organization was established in 1999 to give local college players a place to play and gain some experience over the summer. The history of organized baseball in Colorado is deep-rooted, dynamic, and, at times, complex. The teams in the following pages are but a small sampling of the amateur and semi-pro teams that have played the game in Colorado—a game rich in history and meaning to our state. Note: The author thanks baseball historian Jay Sanford for his generosity in sharing many of the images in this article, along with his vast knowledge of the sport. Credit is also due to Sanford for his work over the years to bring to light the history of the sport in Colorado, and to recognize players of the game through his research, writing, collecting, and many acts of kindness—including the placement of a headstone on the grave of Oliver “the Ghost” Marcelle in Denver’s Riverside Cemetery, forty-two years after Marcelle’s death. The use of the term “organized” in this article refers to the development and structure of teams in Colorado and not professional baseball. In the photographs, whenever possible, a player’s name, position or role with the team, and location in the photo is noted. In some cases, only the last name of the player is known. In others, names are known but not who’s who in the photo. If you have any additional information about any team or player featured here, please share! A shorter version of this article appears in Colorado Heritage. Berthoud team, about 1880. Back row, from left: Ben Turner (right field), George Kiernes (left field), George Graham (first base), Frank Fenron (center field), Josh Barr (chief booster or promoter). Middle row, from left: Fred Richardson (second base), Jap Pulliam (utility), Bill Turner (utility), Elmer Kay (utility). Front row, from left: Bill Fenton (center), Amos Mahon (shortstop), Bob Richards (pitcher). Courtesy Jay Sanford. 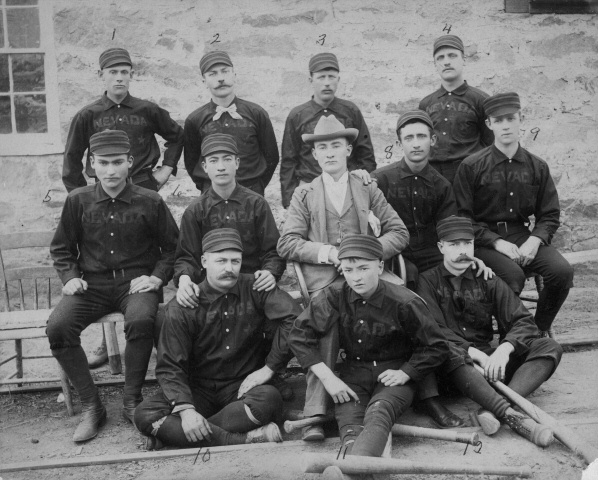 Colorado Springs Reds, 1882. Back row, from left: J.W.D. Stovell (first base), Austin (outfield), W. R. Tornell (outfield), Bill Rockwell (pitcher), Ed Kent (pitcher; went on to play Major League Baseball). Front row, from left: Jack Macklin (outfield), J. E. McIntyne (shortstop), Bill Traffley (center; went on to play Major League Baseball), Frank Newman (second base), Donnelley (third base). Courtesy Jay Sanford. The following day the Colorado Springs Reds played the Denver Brown Stockings in Colorado Springs and beat them 10 to 8. Standing third from the left is William H. “Billy” Adams, the founder of Adams State University. Born in Wisconsin in 1861, at the age of ten he came west with his family; his brother George had tuberculosis and the family thought the Colorado climate would improve his health. Sadly, George died in 1873. Billy’s parents returned to Wisconsin, but Billy and his brother Alva stayed. A ranch hand in his youth, Billy Adams was self-educated, studying law, history, government, economics, and politics in his spare time. Elected Alamosa City Treasurer, he then became mayor and in 1883 was elected Conejos County Commissioner. The year this photo was taken he was elected to the Colorado State Legislature as a representative. He remained involved in Colorado politics and in 1926 was elected Colorado’s thirty-eighth governor. In total he served Colorado as a public servant for fifty years. Leadville Blues, Leadville, 1888. 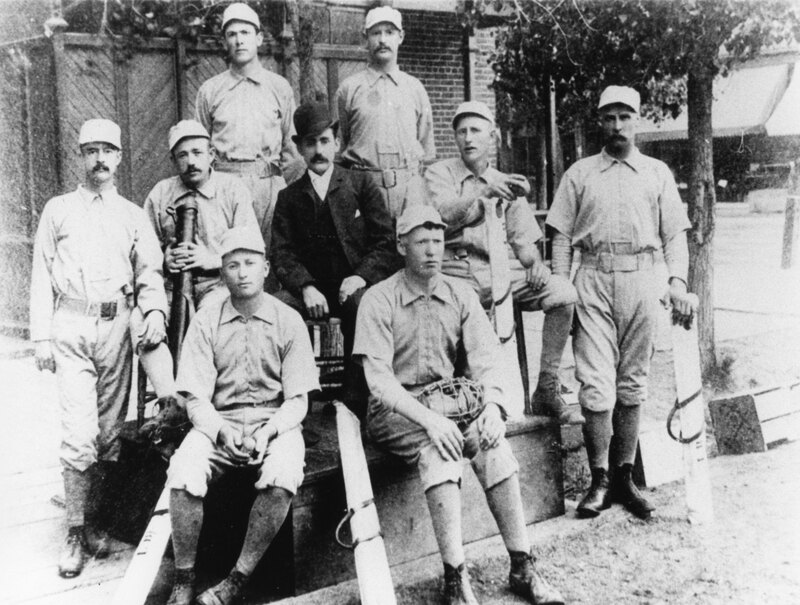 Players include Marshal “Butch” Blake (first base and manager), Dawson (center field), Dolan (left field), Warren “Lefty” Fitzgerald (pitcher; front row, left), John Foutz (shortstop), Green (right field), W. H. Hughes (third base), King (secretary; center, wearing street clothes), Orth (second base), Angus McDonald White (middle row, far left), and George Washington Whyte (catcher; front row, right). Courtesy Jay Sanford. Silver Plume Championship Mountain Team, 1889. Back row, from left: Billy Cliff, Patty Downs, Johnnie Conley, Simpson, Tom Cowles (manager), Mike Guard, Johns, Dan Cavanaugh, John van Kivels, Frank Gisen. 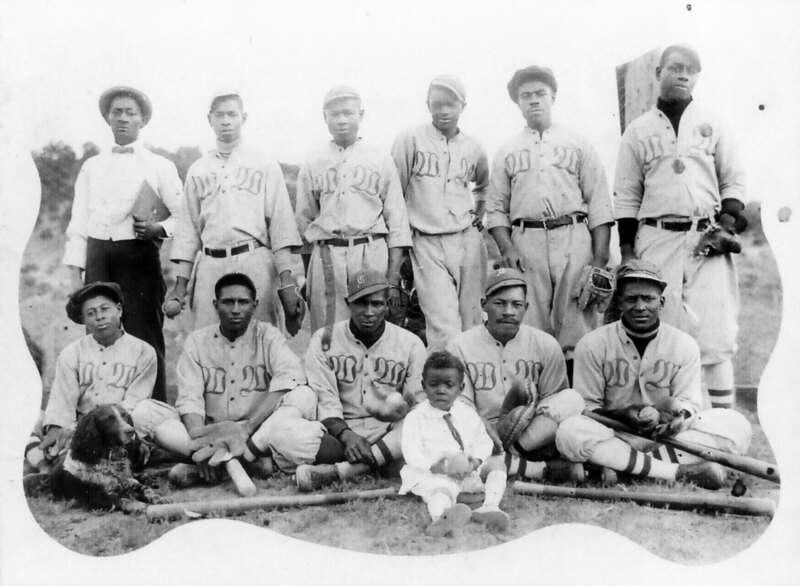 Front row, seated, from left: John Sutherland (African American player; more commonly known as a “black player” in baseball history), Johnnie Freeman, Colin Muse. Courtesy Jay Sanford. 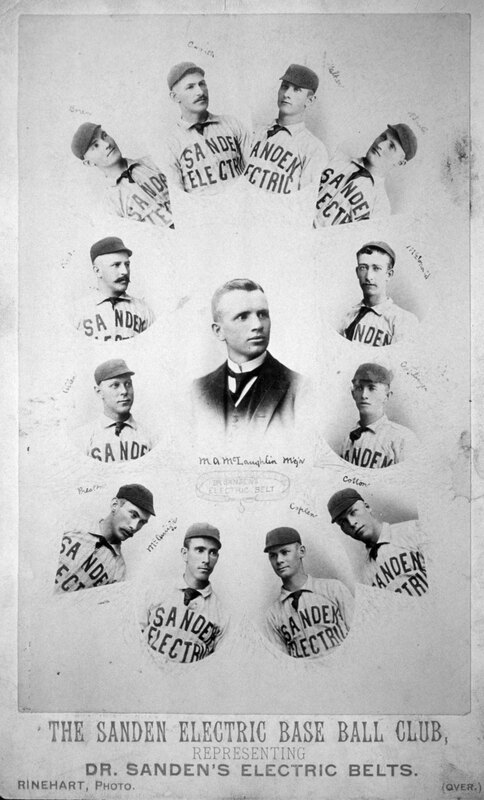 The Sanden Electric Base Ball Club, representing Dr. Sanden’s Electric Belts, Denver, 1891. Photo by Rinehart, Denver. 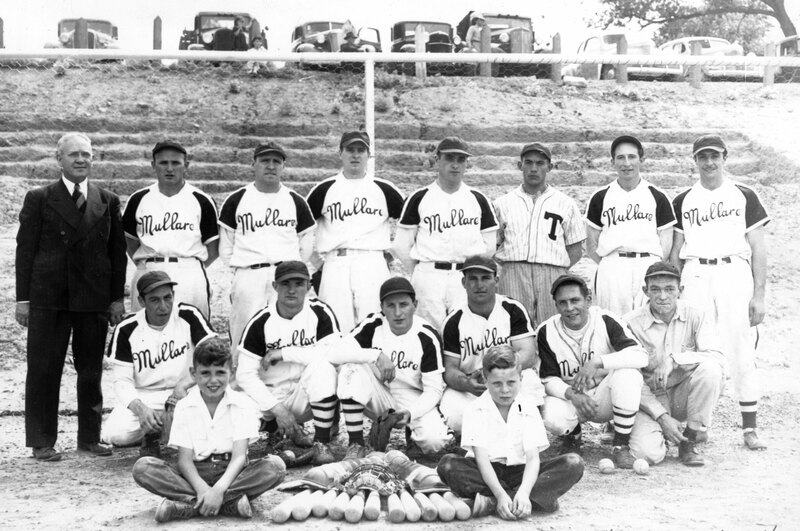 Pictured are team manager M. A. McLaughlin and players: Caplen (pitcher), Cotton (catcher), Little (first base), McAuliffe (second base), Walter Preston (third base; played Major League Baseball), Allen (shortstop), Pink (left field), McLaughlin (center field), and Walker (right field). Courtesy Jay Sanford. Used to advertise and sell Sanden Electric Belts, this souvenir photograph—along with free admission—was given to women attending the August 2, 1891, ball game at Denver’s Broadway Park. According to the Silver Standard newspaper, more than 200 fans arrived by train in Silver Plume on their way to the Nevadaville vs. Silver Plume game held on September 30, 1889. By the first half of the eighth inning it was too dark to play, and umpires called the game with Silver Plume leading Nevadaville 16 to 14. Glenwood Springs team the Glenwood Sluggers, 1902. Pictured, standing, from left: Ed Everett, Charles Hughes, Jim Ford, Tom Baxter, Roy Reed. 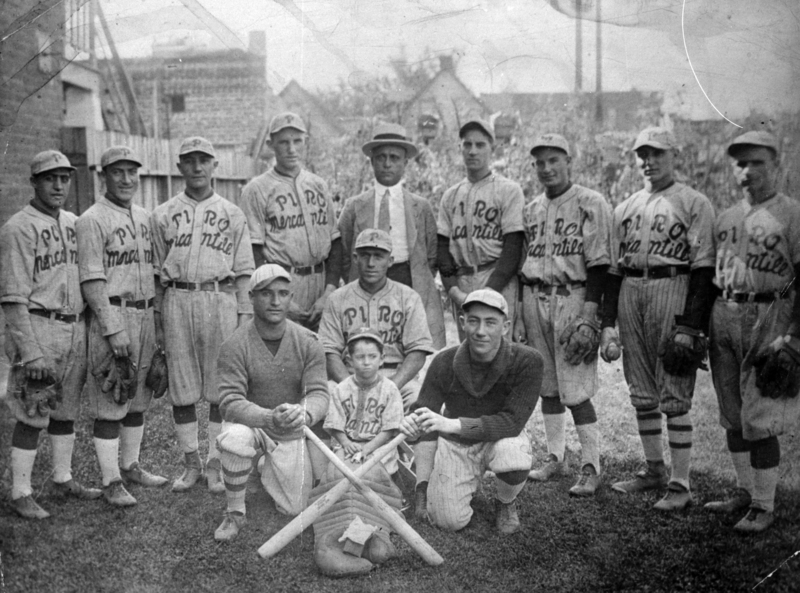 Standing, center: Sid Mangnall (mascot or batboy). Seated, from left: Oscar Smith, Carleton Hubbard, Ernest Barlow, John Thomas, Ben McCauley. Courtesy Jay Sanford. Golden Reds, 1903. 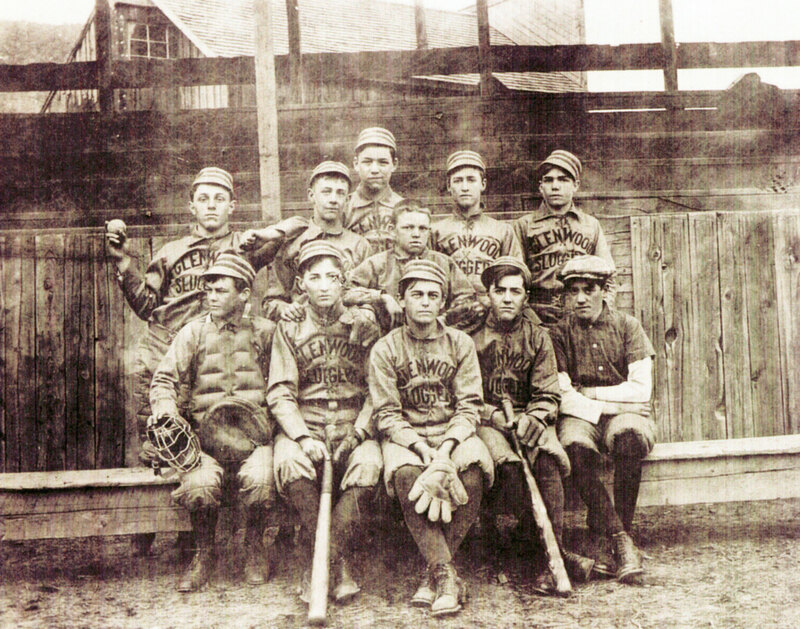 Top row, from left: John Gow (third base), Defeus Quaintance (first base), William McIntyre (captain and second base). 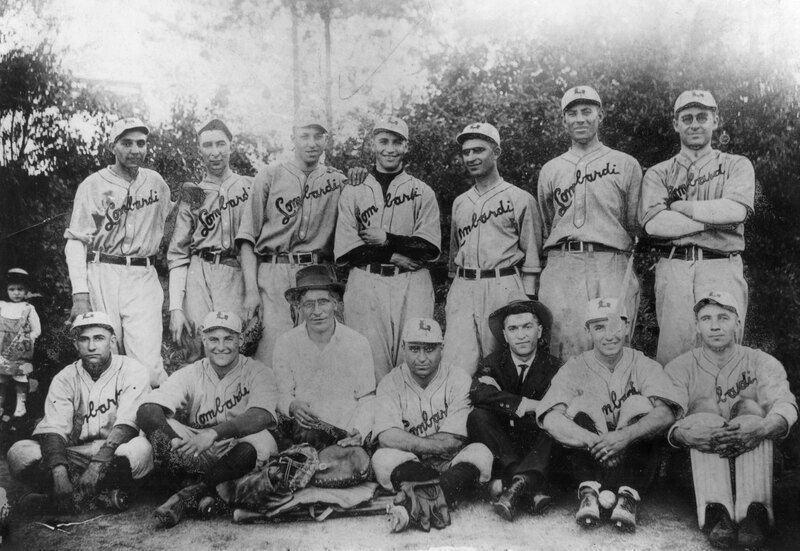 Second row, from left: H. Hartzell (catcher), A. W. Armstrong (manager), Harry Bates (catcher). 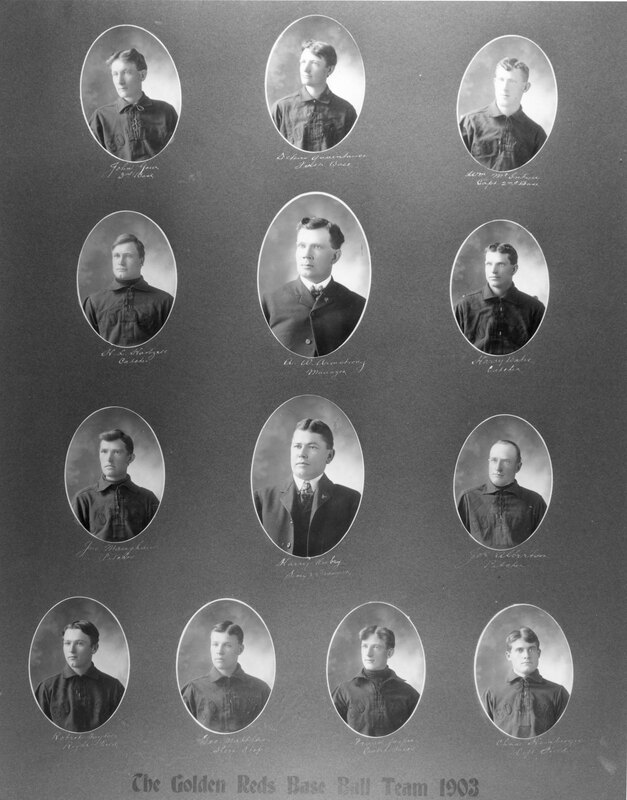 Third row, from left: Joe Maughan (pitcher), Harry Rubey (secretary and treasurer), Joe Albert (pitcher). 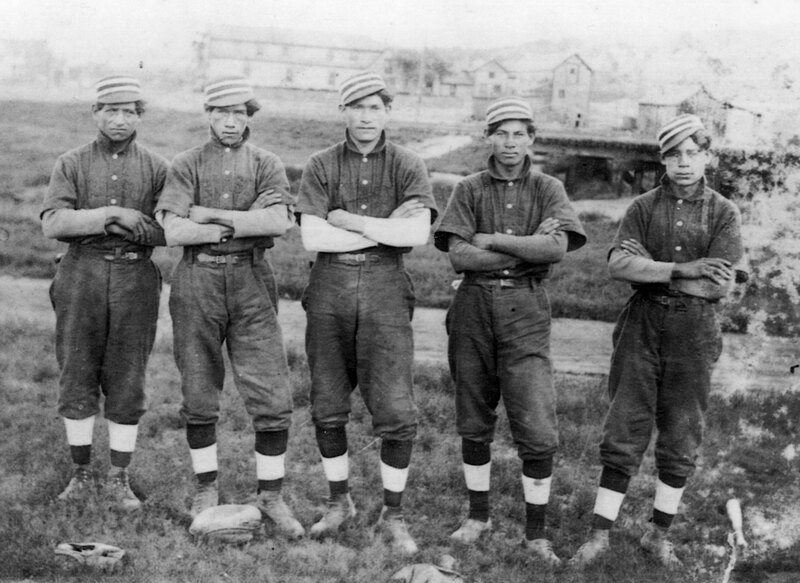 Bottom row, from left: Robert Taylor (right field), George Matthews (shortstop), Frank Jasper (center field), Charles Hambergar (left field). Courtesy Jay Sanford. The Golden Reds baseball team has been reorganized for the 1903 season with the following officers: A. W. Armstrong, manager; Harry Rubey, secretary and treasurer; William McIntyre, captain.Most of last year’s players will probably be retained, but all promising candidates will be given a chance to make the team. Among the new men who will undoubted make good is Earl Walker, who gives promise of developing into a first-class pitcher; Maughan, who was in the box last year, has kept in practice and it is said he has developed a new and puzzling curve to catch his opponents. The Reds gave a good account of themselves last season and played winning ball in the fastest company, defeating all the semi-professional teams of Denver they played except the Old Homesteads. The team is strictly amateur, all of its members being bonafide residents of Golden. The season will open with the following players: H. Hartzell and Bates, catchers; Maughan and Walker, pitchers; Williams, first base; McIntyre, second base; Gow, third base; Matthews, shortstop; Jasper, left field; Quaintance, center field; Taylor, right field. 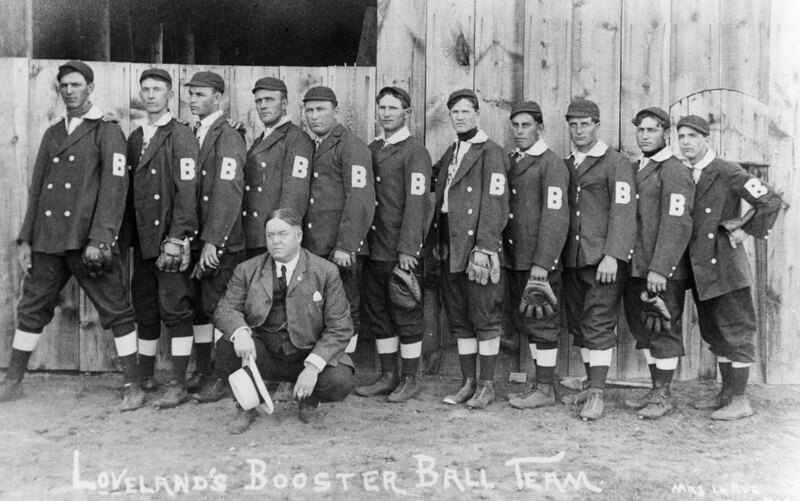 Loveland’s Booster Ball Team, 1904. Standing, from left: Bernie Wilson, Spike Marvin, Charles Castelom, Wascher, Jake Wolauer, Charlie Warner, Vic Davis, Walt Rose, Crowley, Cris Englehart, Eddie Clay. Kneeling in the front is Major LaRue, a team booster (financial backer) employed by the Fossil Creek Oil Company in northern Colorado. Courtesy Jay Sanford. 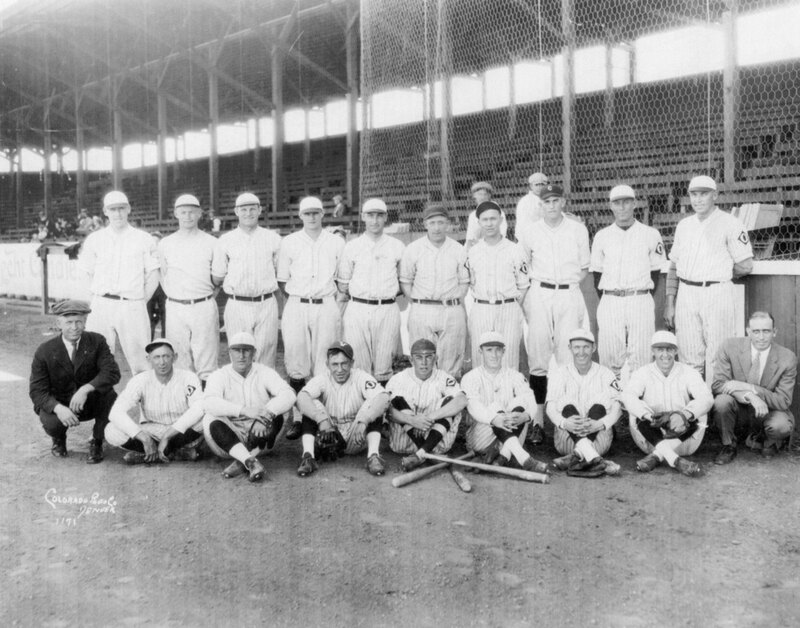 Peralta team, Greeley, about 1910, sponsored by Arthur A. Peralta (seated at center, holding a hat), superintendent of Great Western Sugar Company. Courtesy Jay Sanford. The great-grandson of Luís María Peralta, who received the San Antonio land grant from the governor of Mexico in 1820, Arthur A. Peralta was one of eight children born to Antonio María Peralta Jr. and María Higuera Peralta. Born in 1873, Arthur grew up in California, where his father operated a sugar and coffee plant. In 1893 he graduated from Stanford University with a chemistry degree. A few years later he settled in Greeley, where he worked for the Greeley Sugar Company. When Charles Boettcher founded the Great Western Sugar Company in 1903, Peralta became the company’s superintendent. Peralta died in California in 1919. Underhill male team and Bayly-Underhill female team, Denver, about 1910. Courtesy Jay Sanford. Around 1898 Townsend J. Underhill started making shirts, pants, and overalls in downtown Denver. After his death, Charles and William Bayly bought the company, changing its name to Bayly-Underhill Mfg. Co. in 1910. In 1942, the company became Bayly Mfg. Co. One of the first companies to sign union contracts for its employees, Bayly made some of the best work clothes in the United States—including those made for the Navy. After filing for bankruptcy, the business closed in 1991. 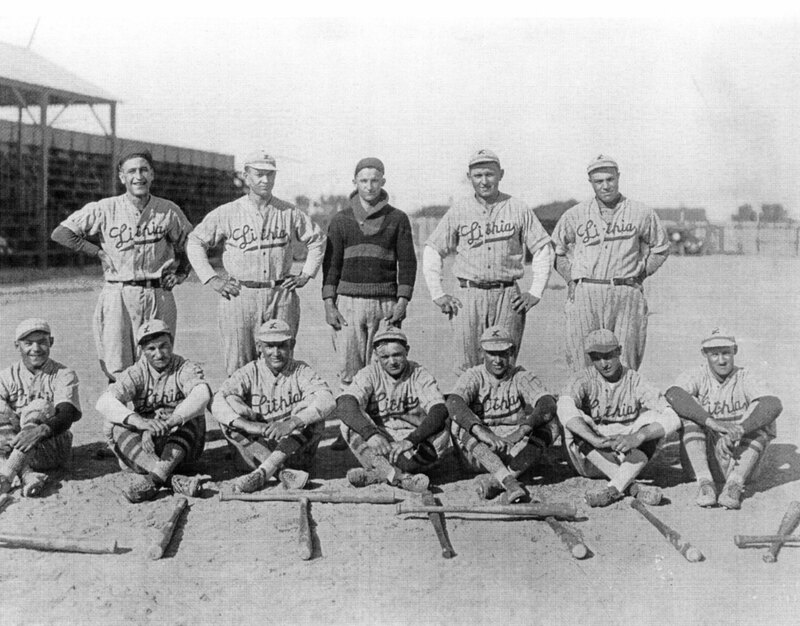 Lithia Ball Club (with bats arranged to spell Lithia), sponsored by the Lithia Water Bottling Company, Pueblo, 1913. Courtesy Jay Sanford. Trujillo family team, Trinidad, about 1910. From left: Federico “Fred,” Celestino (also known as Subistiano), Jose “Joe” Demetrio or “J. D.,” Maxmilliano “Max,” Avenisio “Ben.” Courtesy Jay Sanford. Pictured are five of twelve Trujillo siblings—the children of Juan Antonio Trujillo (1834–1916) and María Encarnación Ramires (1862–1942), both born in New Mexico, who operated a farm in Las Animas, Colorado. Mountain State Telephone and Telegraph Company Gallup (later Zuni) Street team, Denver, about 1917. The Mountain State Telephone and Telegraph Company supported several baseball teams in 1917, including Gallup Office, Main Office, South Office, and York Office teams. Founded in 1911, the company became U.S. West Communications in 1991. In 2000, Qwest Corporation bought the company, which is today owned by CenturyLink. 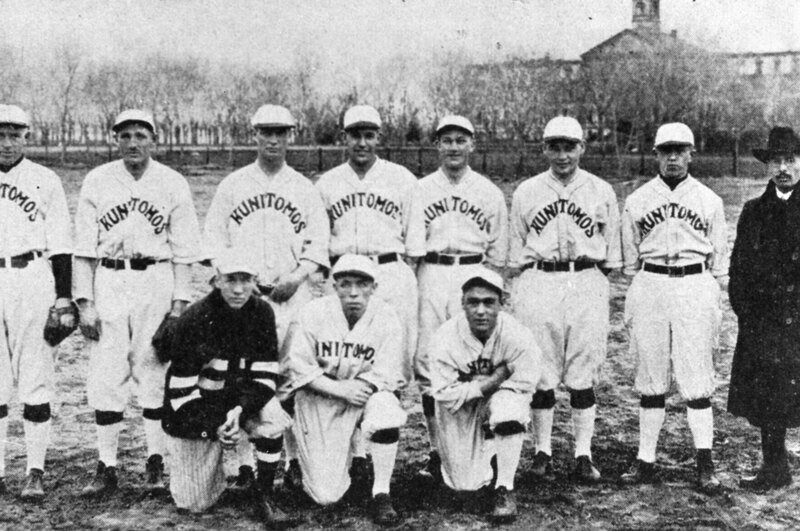 Kunitomos team, Denver, 1920. Standing, from left: Duncan, Sullivan, Walker (captain), Olson, Rector, Famularo, unknown, Dr. Kunitomo. Kneeling, from left: Anthony Kunitomo, McDonald, Williams. Courtesy Jay Sanford. Born in Tsuchiura, Japan, in 1879, Dr. Nobuya Kunitomo received his preliminary education in Japan. Around 1897 he came to the United States to further his medical training and education. He settled first in New York, where he married Irish immigrant Abbie McCarthy. The couple had two children, daughter Marie and son Anthony. In 1907 Kunitomo earned his law degree from the University of Illinois, and in 1912 a medical degree from the University of Pennsylvania. Around 1920, the Kunitomo family moved to Denver, settling in a home at 3301 Zuni Street. Dr. Kunitomo continued his medical practice in Denver; he was a member of the American Medical Society and Colorado State Medical Society and served on the staff of Mercy Hospital. 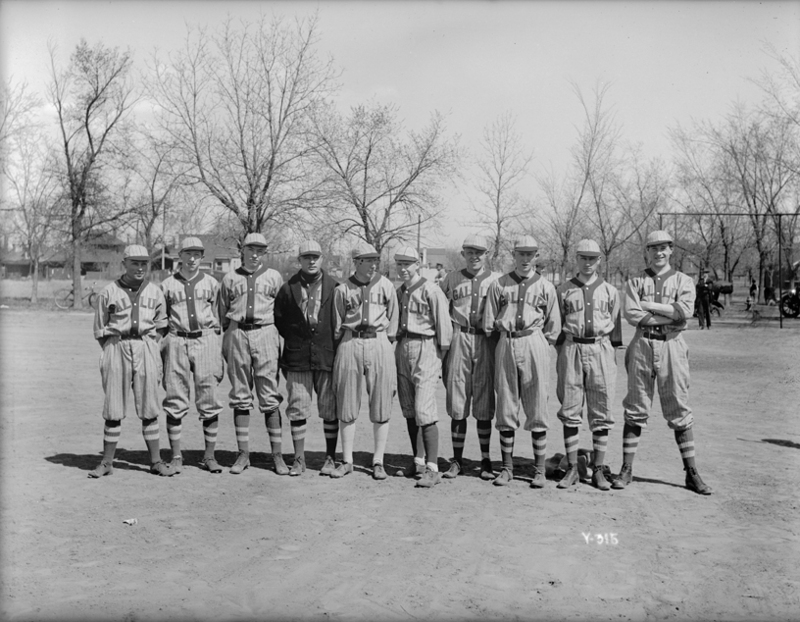 Olathe team, managed by Arthur “Art” Loper, at the Denver Post Tournament, Merchants Park, Denver, 1925. 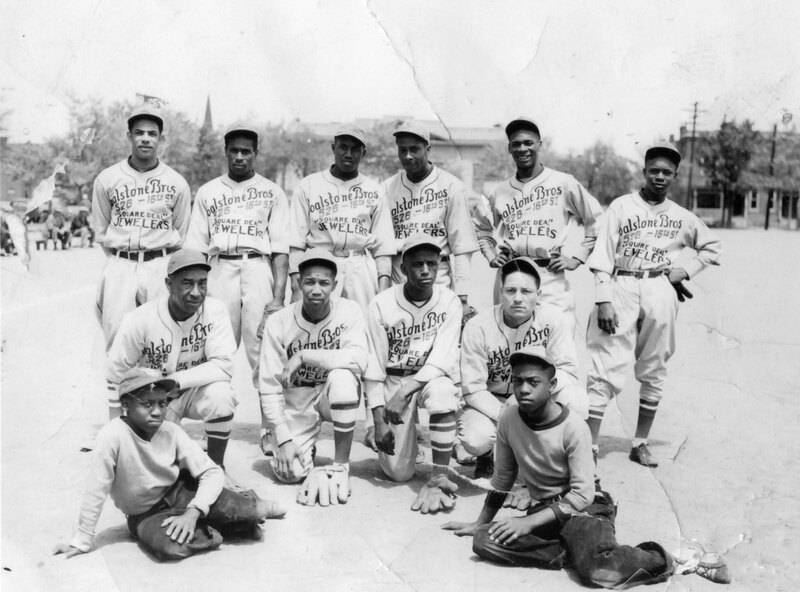 Players include Johnny “Kid” West (first row, fourth from left; played left field and pitcher), Oscar Roatcap (standing, far right; played first base), R. Roatcap (center field), Walt Honeycutt (first row, third from right; pitcher), Joe Mills (catcher), Ramsey (second base), Holland (shortstop), Evans (third base), Williams (right field), Ament (pitcher), Greer (pitcher), Atkins (catcher), Hyatt (utility), Grantham (utility), Anderson (utility). Courtesy Jay Sanford. Arthur “Art” Loper (1888–1975) grew up on a farm in Montrose, Colorado. The son of Isaac and Emma Loper, he was a former player for the Olathe Granger and part of the 1915 championship ball team that beat Telluride. His fellow players included the Roatcap brothers; Loper would manage them in 1925. According to the Montrose Daily Press, the 1915 championship game between Telluride and Olathe “was the worst slaughter in baseball history,” with Olathe winning 19 to 4. No article about baseball history in Colorado would be complete without a mention of the Denver Post Tournament. Established in Denver in 1915, the tournament became the biggest baseball event in the United States outside Major League Baseball. In 1934 the tournament made history as the first major venue of the twentieth century to bring professional black and white teams together for official league games. Frequently referred to as “the Little World Series” and the “Western World Series,” the tournament ran ten days to two weeks and attracted teams from across the country. Over its thirty-three-year history (the last tournament was held in 1947), countless major and minor league players participated. Located at 3759 Lipan Street in North Denver, the building that formerly housed the Piro Mercantile still stands today; many north Denverites remember it as the old Subway Tavern. Look above the door and you’ll still see the letters EP for store owner Eugene Piro. Born in Italy in 1884, Piro immigrated to the United States in 1909. Around 1914 he settled in Denver, where in 1920 he opened the Piro Mercantile. Black Diamond Coal Company team, Boulder, 1936. Back row, from left: unknown, Landon Persons, Roy Brover, John Earl, Bauldie Moschetti, John Ultschi. Front row, from left: Bud Keeter, Byron “Wizzer” White, Merle Lefferdink, unknown, Bill Carkeek. Batboy: Bill Carkeek’s nephew. Courtesy Jay Sanford. Near Baseline Road and US 287, the Black Diamond mine was considered one of the best coal mines in northern Colorado. Employing some 100 workers, it was the last coal mine in the area to shut down operations in the mid-1950s. Two of the players from the 1936 team made major contributions to American athletics. The first, Byron “Whizzer” White (a future US Supreme Court justice) was the runner-up for the Heisman Trophy for football. He went on to play for the Pittsburgh Pirates, where he was named all-pro. He also played for the Detroit Lions. The second, Bauldie Moschetti, in 1964 founded the Boulder Collegians, a summer collegiate baseball team. He also served as the organization’s manager, general manager, recruiter, and primary sponsor. 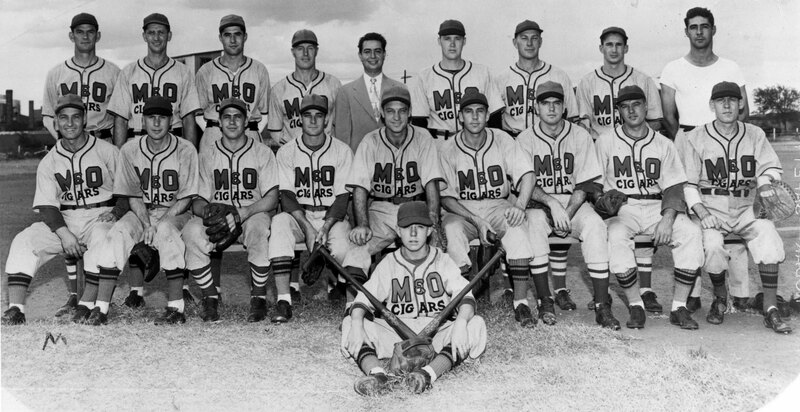 The Collegians won the National Baseball Congress World Series four times; more than seventy Collegians players made names for themselves in organized baseball. In appreciation for developing so many players, Major League Baseball awarded Moschetti a lifetime pass—allowing him entry into any big-league ball park free of charge. Goalstone Brothers team, Denver, 1937. Photo includes Tom Albright, standing at far left, and Left Banks kneeling at far right. Not pictured, Oliver “the Ghost” Marcelle was also part of the 1937 Goalstone team as a pick-up player, making his last appearance in the 1937 Denver Post Tournament as the team’s starting third baseman. Courtesy Jay Sanford. Born and raised in Boston, George E. Mullare came to Colorado in 1900. He settled first in Denver, where he took a job with the Colorado Packing Company. He then went to work for Armour & Company, a job he held for thirty-one years. While employed by Armour he worked in Portland, Oregon, as well as Denver and Trinidad, Colorado. In 1926 he entered the mortuary businesses, operating Mullare Mortuary at 216 East Main Street in Trinidad. The business continued to operate after Mullare’s death in 1935. In 1946 M&O Cigars were manufactured by the Cuban Cigar Company at 1354 Larimer Street. Established around 1900, the Cuban Cigar Company in 1946 was owned by Samuel Levinson and Eva Levinson (widow of Samuel’s older brother Louis). Louis and Samuel’s Russian Yiddish parents had emigrated from Russia in 1885. After many years in New York, the family came west, settling in Denver around 1890. See more in our Play Ball! exhibit!